City Parking’s L-shaped lot at the corner of Queen and Metcalfe, as it appeared in 1973. I’d click for the full size image. There’s a whole lot of fun detail. Image: Bill Cadzow / CMHC 1973-102, Image 4. I recently wrote a bit about the adventures and misadventures in development experienced by Bernard Herman’s City Parking Ltd. (Citicom) in Ottawa. 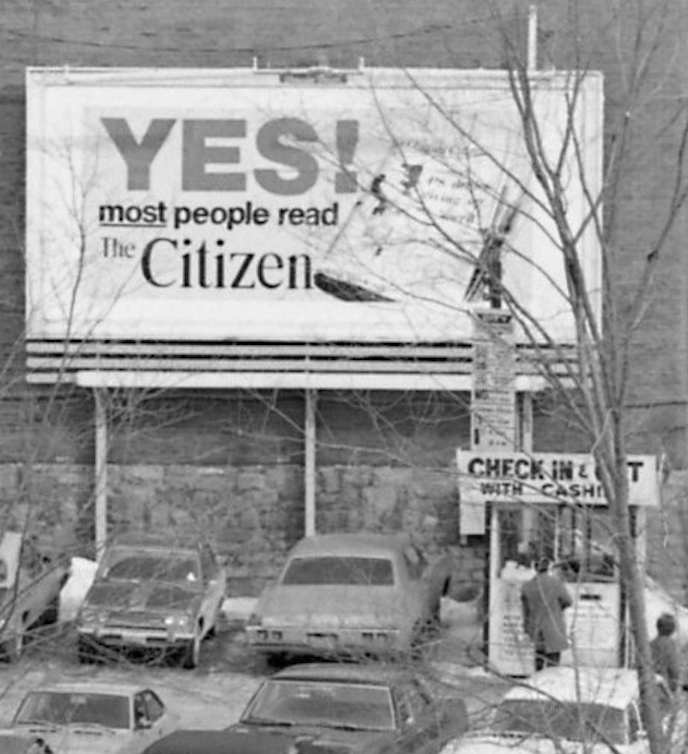 The photograph above was taken by Bill Cadzow of the CMHC in February 1973, just before City Parking announced its Canada Centre project. 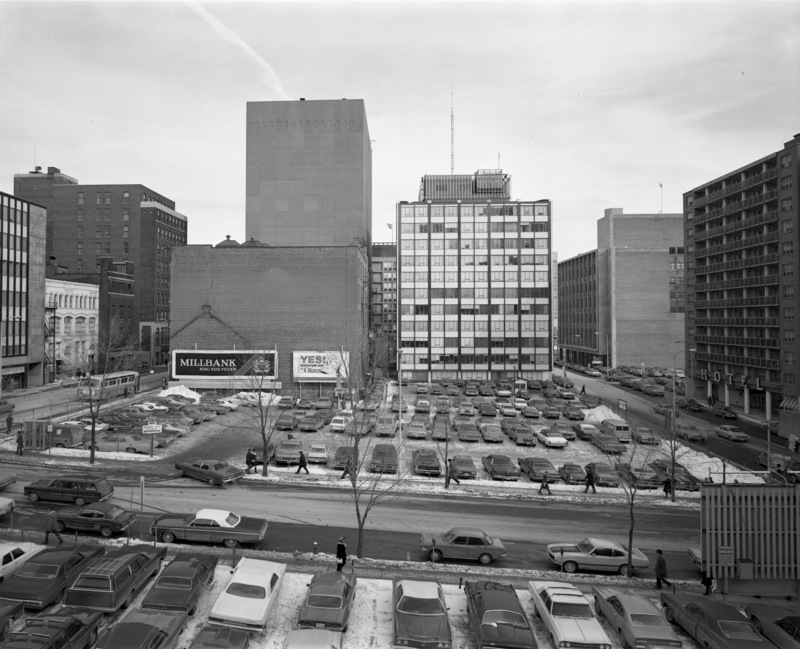 For all it could have been, the Canada Centre was permanently iced when the National Capital Commission purchased the developer’s entire downtown portfolio in 1976. It would not be until 1984 that the site would be constructed on, with the Manulife Place office being completed in 1987. Detail from the shot. Notice the distinctive City Parking rate board. Image: Bill Cadzow / CMHC 1973-102, Image 4. Bill Cadzow’s photograph is remarkable insofar that it really captures a rather large collection of day-to-day Ottawa. Manulife Place. Much more reflective than the cars in Herman’s lot were. Image: July 2016.